One of the biggest challenges that marketers face is how to nurture their community. We can all agree that having an engaged and loyal audience is the ideal state of affairs. Building a community of leads is what we spend most of our time doing, after all. But, after getting people to follow you how do you make sure they stick around long enough to (hopefully) make a sale? And importantly, how can you judge the success of nurturing your community at all? It might sound calculating, but it’s important to keep your ultimate goals in mind when you are community nurturing. If you are a small/medium business selling webinar software, for example, (*ahem* wonder where I got that example from?!) it makes sense that you want to engage with a community of professionals who might want to run webinars. So, populating your twitter feed with hilarious and topical gifs might not be the best way to go. OK, occasionally deviating from your main topic (i.e. your company’s offering) is fine, especially if you can tie something that’s trending to your own niche. But make sure these posts are sprinkled in amongst core content that is relevant to your audience. That’s why they have chosen to follow you and it’s the key to keeping them engaged in the long run. Instagram, Twitter, Facebook, LinkedIn, Pinterest…there seems to be a never-ending list of social media channels that your boss wants to you build a company presence on. However, taking a moment to think about which ones your audience is using can save you a lot of effort in the long run. For instance, we focus our community nurturing on Twitter, Facebook and LinkedIn. Our target audience is mainly comprised of B2B professionals. 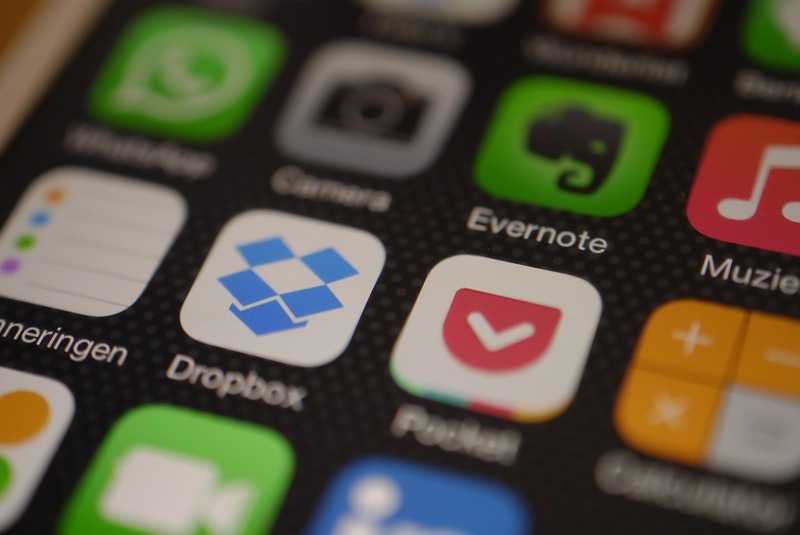 This means that whilst they might use Instagram and Pinterest in their free time, it’s unlikely that they are using those sites to search for things like embedded webinar solutions or webinar hosting software. So instead of spreading ourselves thinly across all social media, we have decided to concentrate on making sure our Facebook, Twitter and LinkedIn profiles are kept up to date and populated with relevant content. Once you’ve narrowed down which social channels you are going to focus on, it’s up to you to start the conversation. Never underestimate the power of showing a little personality. Your audience may have discovered you because what you offer is relevant to them, but they’ll ultimately stick around because they like what they see/read/hear. Publish consistently: One great way to encourage communication is to post consistently. This allows your community to anticipate your posts and know when to look out for you. That doesn’t mean you must be on twitter 24/7 but try to stick to a regular schedule. Don’t be afraid to pick a side: Is there a debate raging in your industry? In the webinar world it’s whether or not to use screenshare technology. We’re in the ‘don’t do it’ camp but plenty of people aren’t. Don’t be afraid to pick a side and stick to it. Nothing encourages communication more than a little debate. Plus, it gives you an opportunity to educate your audience on how you formed your opinion in the first place. Speak as if you were having a direct conversation: Some of the best social media accounts make you feel as though you have a real rapport. They share inside jokes; they anticipate things you’ll be interested in. It’s almost as if they know you. And if they’ve done their buyer persona research well enough, they practically do! Cambridge might have hated the Full English Breakfast, but if you love Bacon and Eggs then you might have found the ideal place for you. It’s all about providing perspective. Reverse Psychology: Remember when you parents told you to go out and have fun and you ended up staying in on Saturday night to prove a point? This can work with your negative reviews too. Building on the point above, sometimes negative feedback provides you the opportunity to have a bit of fun. 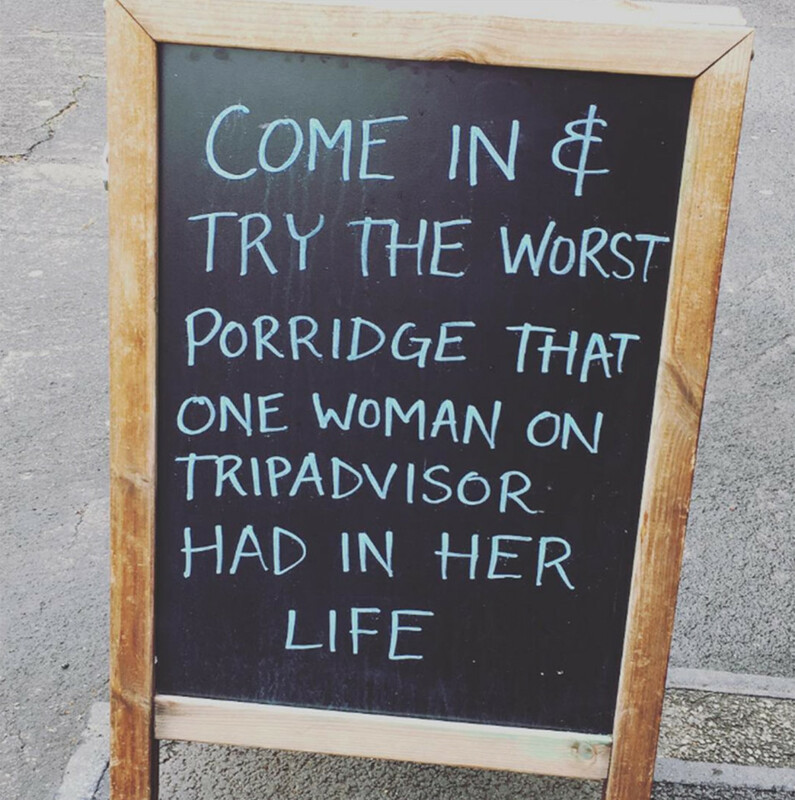 Like Nook, a café in Stockport who took a bad review in their stride and created a witty response instead. Demonstrate Your Customer Service: Make sure that all negative feedback receives a public response. There’s nothing worse than a company that ignores its community. The best way to handle negative criticism is to tackle it head on. Apologise for the bad experience and suggest offline ways the person can get in touch to remedy the issue. Community Nurturing is about more than simply identifying the right social media channels. To keep your hard-won followers, you’ll need to keep them engaged with relevant, and interesting, content. This can range from infographics, to blogs, to webinars. That’s great, you’re thinking, but how am I supposed to have the time to focus on social media and write amazing content? Focus on providing your audience with value for clicks. You don’t need to be posting ten blog posts a day to keep nurturing your community. Instead, keep the emphasis on creating informative content that anticipates the needs of your audience. Don’t be afraid to share useful articles from other sources either. Identifying your industry influencers can be an asset to your community nurturing campaign. 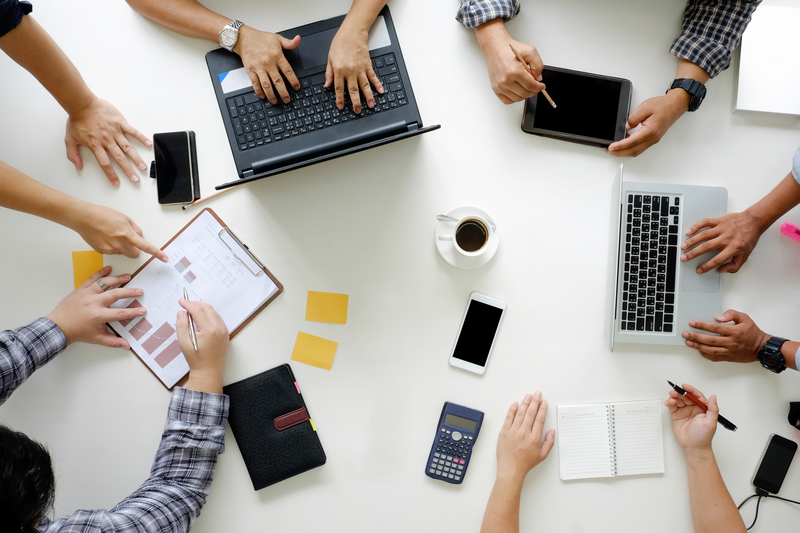 If you create a hub of useful information your community will reward you with high engagement and be more likely to sign up for your marketing deals. We all love exclusivity. This doesn’t change when it comes to your online community. So, when you’re creating content try to give your audiences something they won’t find anywhere else, especially with your competitors! Instead of repurposing the same industry stereotypes why not consider whether your company has a unique spin on the topic? Show your community that you have a unique voice and something to offer It will play to your strengths and keep them coming back for more. One thing that many companies shy away from is sharing good quality content that’s been written by someone else. But when you’re trying to nurture your community this can be a key relationship building strategy. Nothing is more off-putting than a company that only talks about themselves. Social sharing is exactly what it says; a social tool for sharing. Think about how you talk to your friends, if you like a good book, or Netflix show, you share that information don’t you? Sometimes it’s nice to share the love. When it comes to measuring the success of your community nurturing it can help not to get too hung up on the tiny details. Sure, metrics are your BFFs when it comes to judging the success of a project. But ultimately, if you end up tracking everything you might lose focus on actually nurturing your community. Plus, some vanity metrics are really better left alone. Are the right people finding your site? And if they are finding your site, where are they coming from? Tracking traffic acquisition can help you understand a lot about nurturing your online community. For example, in the first point we looked at identifying which social channels you want to focus on. Traffic Acquisition by social channel is a great way to find out. If 60% of your traffic from social media is from Twitter, for example, it might be a good idea to refocus budgets towards that. It’s a great way to help you make sure your social strategy remains cost effective and also gives a good indication of who is engaging with your brand, and where. Another sure fire way to tell how your content is being received is to track engagement rates. Tracking things like clicks, likes and shares helps you understand what resonates with your audience. It is also a particularly useful metric to take into consideration when you are content planning. Can you create more content based on what your online community enjoys reading? But remember, no one becomes a social media sensation overnight. It’s important to keep things relative when tracking this metric. Slowly building a follower base that is highly engaged is better than suddenly acquiring a huge audience who never interact with what you are saying. Conversions, CPC, CPA and ROI By Social Channel - Also Measure Subscribers, Leads, Customers, Evangelists. Similar to traffic acquisition, tracking conversions by social channel is a useful metric for understanding R.O.I. It’s important to remember that, ultimately, your social media output is about converting your audience into customers. So tracking conversions by social channel is important for helping you build the long term picture. If you have a high engagement rate and traffic acquisition from social media is high but no one is converting it could hint at a social media strategy that is out of sync with your business. Understanding the long term impact of your social media strategy will help you continue to improve. Ultimately, the key to effectively nurturing your online community is to be genuine about it. 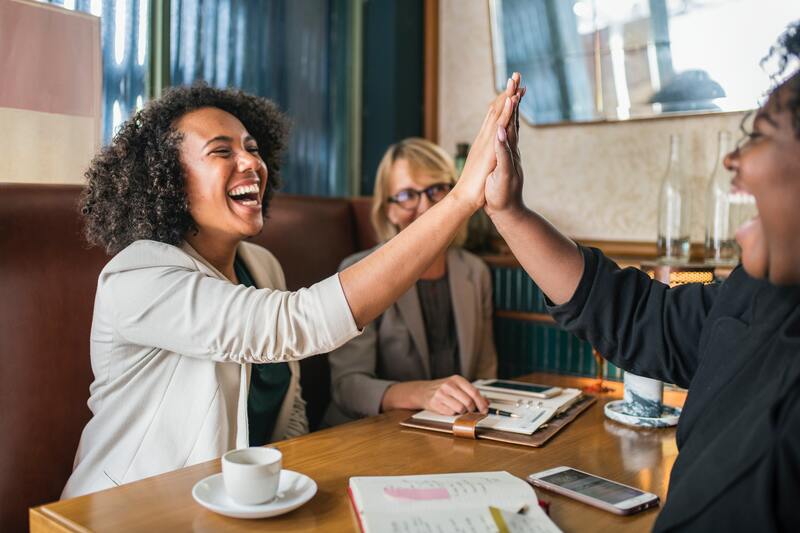 In the world of business we all know that companies are using social media to try and generate leads, but if you provide value to your audience they will be happy to engage with you. 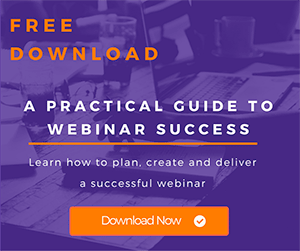 ← The Top 10 Webinar Issues - How Do You Avoid Them?